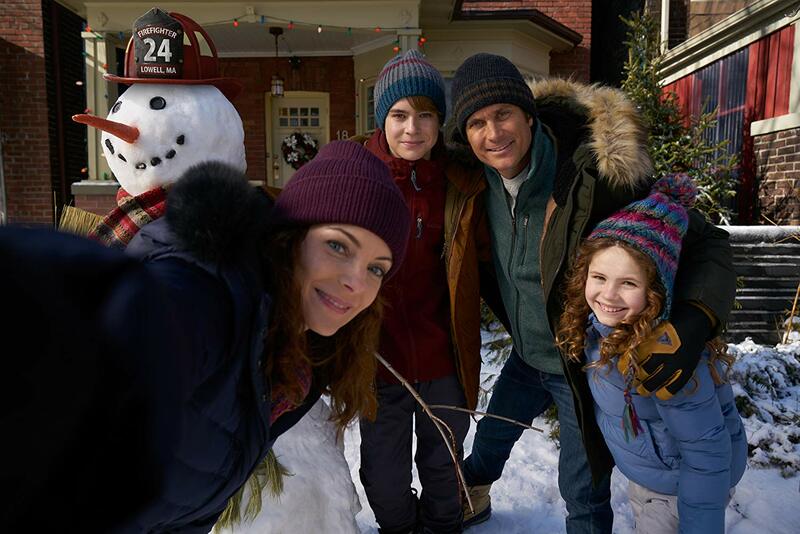 In The Christmas Chronicles, Netflix has found a new holiday classic that has a chance of becoming this generation's Santa Clause, even if it is only marginally better than a Hallmark movie. I am always looking for something new to watch that can be viewed by the whole family. 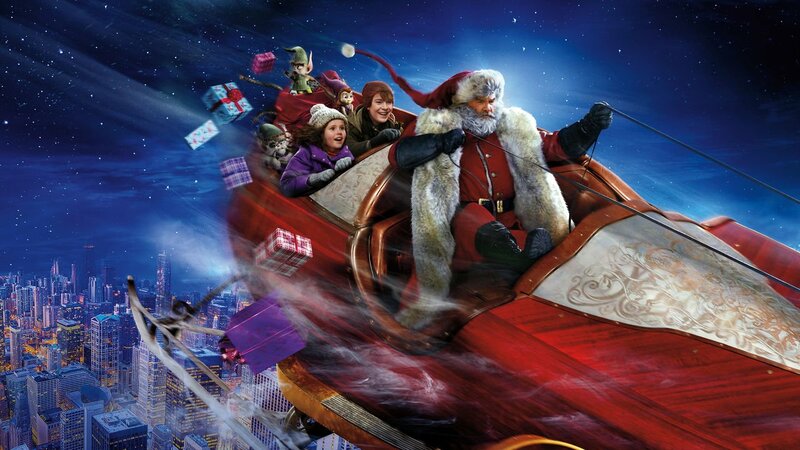 On Christmas Eve, it was an obvious choice to turn on Netflix's new holiday film, The Christmas Chronicles. It is hard to go wrong with kids when Santa is the focal point, and this was no exception as my toddler was riveted to the TV from start to finish. So it definitely passed the "toddler test" (which is an important test to pass), but let's talk about this film. The Christmas Chronicles follows Teddy and Kate Pierce, a brother and sister that are dealing with their first Christmas without their dad. When they decide to spend some rare quality time together on Christmas Eve, they catch Santa in the act, sneak into the sleigh, and cause Santa to crash putting into question whether he could finish his Christmas duties. With the help of Teddy and Kate, Santa has to track down his reindeer and toy sack, while running from the police, to get his Christmas Eve back on track so everyone can get their presents. When it comes to production value, this film is barely better than a Hallmark movie, especially at the beginning. As Netflix continues to improve in the content they put out, a film like this definitely does not meet expectations. The plot points are predictable, and the acting is marginal at best. 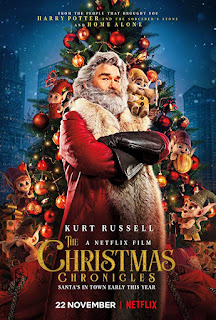 There is one thing and one thing only that makes this movie better than the countless sappy holiday movies you find playing constantly on TV throughout the month of December:Kurt Russell. Russell's portrayal of Santa is one of the best I have seen as he plays a brash, stereotype-busting version of St. Nick. As soon as Santa shows up on screen, the magic begins. The story picks up and everything becomes more entertaining as Russell adds a certain legitimacy to film that it otherwise is lacking. This film is not a great movie, but thanks to Kurt Russell it is not a bad movie. The plot is still pretty predictable, much of the dialogue (not spoken by Santa) is corny, and it works way too hard to try and tug at the heartstrings. With all that said, when it comes to a Christmas movie it is easy to forgive some of that. 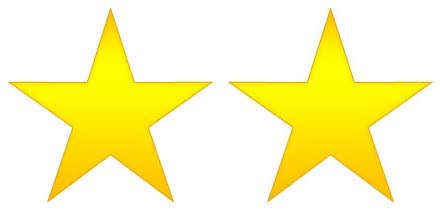 It may have been predictable, corny, and way too feel-good (even for me), but it didn't bother me that much. You let some of that go when it comes to the holidays (maybe that is why so many people love the Hallmark movies). I found myself with a smile on my face throughout the movie, even when I knew exactly what was going to happen (including the cameo at the very end). 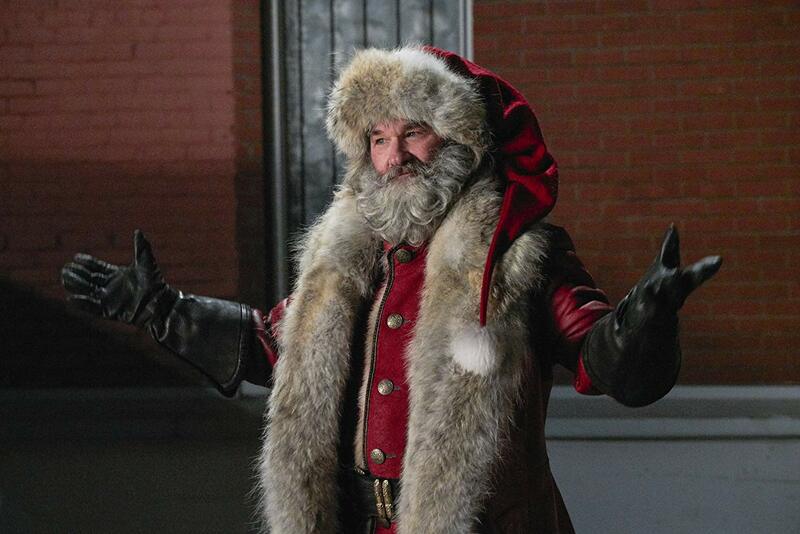 Kurt Russell gives us the best Santa on film since Tim Allen in the classic Santa Clause franchise. I said this has a chance to be a new holiday classic. There are several reasons for that. First, as a Netflix original film, it will easily available every year come holiday season. I am sure we will be watching it again come next December in our house. Second, and more importantly, it has the magic and entertainment value you want out of a family holiday film. It's not a great movie by any stretch, but it is definitely worth a watch to build some Christmas spirit.